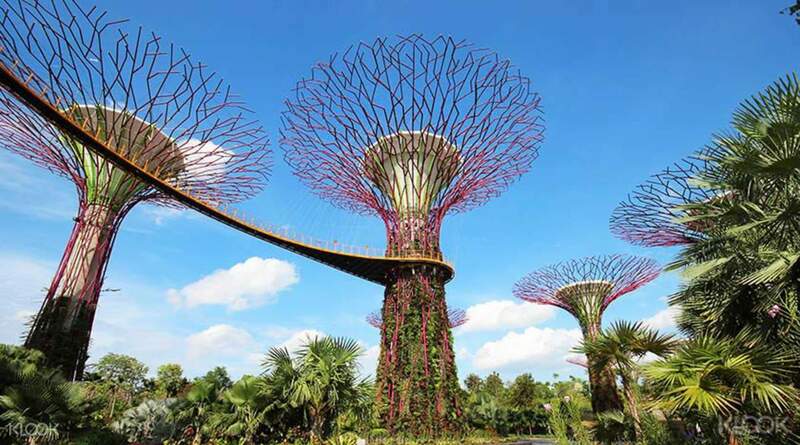 Enjoy a hassle free visit to Singapore with a two or three days pass! Bring home lots of awesome photos with the city skyline as your backdrop from the bus open air upper deck! Indulge in a full experience of Singapore and enjoy sightseeing at your own pace. With an unlimited sightseeing bus pass for two or three days, you won't have to worry about commuting to any of the interesting attractions: simply hop on the Funvee Open Top bus at one of the many locations and hop off at any point of interest — it's that easy! 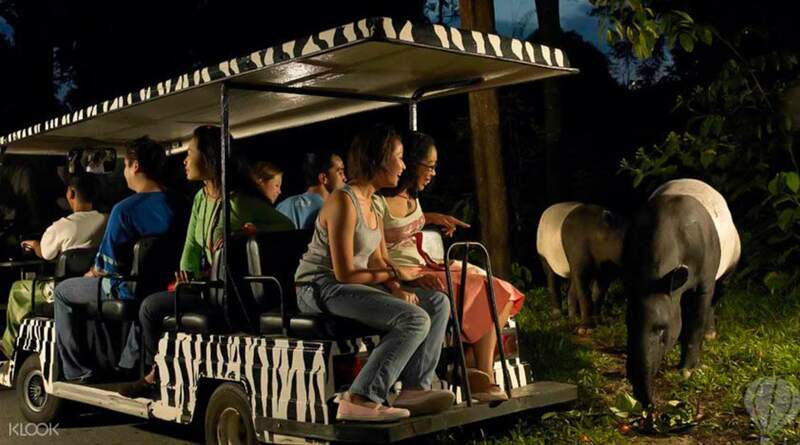 With extensive sightseeing itineraries and free admission to two of the city's top attractions (your choice), including Singapore Zoo, Madame Tussauds, River Safari, Trick Eye Museum and more — your visit to the city is guaranteed to be lots of fun and worry free. This is worth the money to go around the SG city for 2-day pass. Highly recommended. If we come back to Singapore with my family, I will definitely book with you again. Easy to redeem, the staff at city tourist hub were very nice. Buses not too crowded. We took the Night Tour and they brought us to the GBTB rhapsody show, it was raining but the show was captivating, didn't mind the rain, we paid 2dollars for poncho, the lady tour guide is very nice, we tour city again, walked down Haji Lane and stopped at Clarke Quay. Theres Complimentary tour to Sentosa, so you can go to the Universal Studios and other attractions. Thanks Klook and people at City Tourist Hub for a great experience. This is worth the money to go around the SG city for 2-day pass. Highly recommended. If we come back to Singapore with my family, I will definitely book with you again. Easy to redeem, the staff at city tourist hub were very nice. Buses not too crowded. We took the Night Tour and they brought us to the GBTB rhapsody show, it was raining but the show was captivating, didn't mind the rain, we paid 2dollars for poncho, the lady tour guide is very nice, we tour city again, walked down Haji Lane and stopped at Clarke Quay. Theres Complimentary tour to Sentosa, so you can go to the Universal Studios and other attractions. Thanks Klook and people at City Tourist Hub for a great experience. The open top bus ride made it worth it to be able to explore all places of interest in Singapore. On our first day, we enjoyed just the road trip and sightseeing from start point to the end point of the orange route where you get to see almost all tourists spots. The following day, the hop on hop off helped a lot going to key places such as the botanical gardens and gardens by the bay. You just need to be very careful to identify which route you’ll b going so that you’ll not lost. On the third day, another hop on and hop off made it more convenient to go to singapore flyer and singapore zoo. The night tour on a boat ride is an added ite that allowed us to see the difference of each tourist spot between night and day. One good thing that extra ordinary is the complimentary ride going to sentosa. Its just all up to you which activity included in the package to enjoy. This 3 day pass is worth it but you have to get one extra activity out of this package to enjoy more of the inclusions of the package. Singapore flyer ride is recommended by opening time as it got more worth it enjoying the space (the capsule as they call it) with just me and my mom. There was hundreds of pictures taken and its really breath taking to be at more than a hundred meters above the ground. The open top bus ride made it worth it to be able to explore all places of interest in Singapore. On our first day, we enjoyed just the road trip and sightseeing from start point to the end point of the orange route where you get to see almost all tourists spots. The following day, the hop on hop off helped a lot going to key places such as the botanical gardens and gardens by the bay. You just need to be very careful to identify which route you’ll b going so that you’ll not lost. On the third day, another hop on and hop off made it more convenient to go to singapore flyer and singapore zoo. The night tour on a boat ride is an added ite that allowed us to see the difference of each tourist spot between night and day. 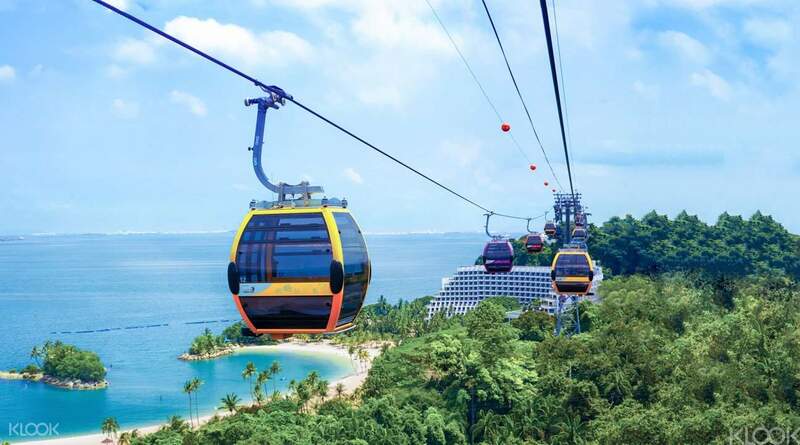 One good thing that extra ordinary is the complimentary ride going to sentosa. Its just all up to you which activity included in the package to enjoy. This 3 day pass is worth it but you have to get one extra activity out of this package to enjoy more of the inclusions of the package. Singapore flyer ride is recommended by opening time as it got more worth it enjoying the space (the capsule as they call it) with just me and my mom. There was hundreds of pictures taken and its really breath taking to be at more than a hundred meters above the ground. Edna the mother duck is a funny and awesome Guide. She noticed I am travelling solo so she always ask if I want her to take photos of me. Easy redemption too and always on time. The whole crew is very accomodating for everyone's queries. Edna the mother duck is a funny and awesome Guide. She noticed I am travelling solo so she always ask if I want her to take photos of me. Easy redemption too and always on time. The whole crew is very accomodating for everyone's queries. Great Experience! The staff from the city tour hub was very helpful. He was very good in giving instructions for the funvee hopper bus tour and the night bus tour. Was able to use thr hop on hop off service. The staff was able to book us for the night tour, we didn't need to call for schedule. The City Tour Hub was easy to find. just ask for directions lol. Highly recommended experience was able to save a lot. Thanks. Great Experience! The staff from the city tour hub was very helpful. He was very good in giving instructions for the funvee hopper bus tour and the night bus tour. Was able to use thr hop on hop off service. The staff was able to book us for the night tour, we didn't need to call for schedule. The City Tour Hub was easy to find. just ask for directions lol. Highly recommended experience was able to save a lot. Thanks. Purchasing this pass is a must. Very convenient and easy to roam around the city (especially the tourist spots). 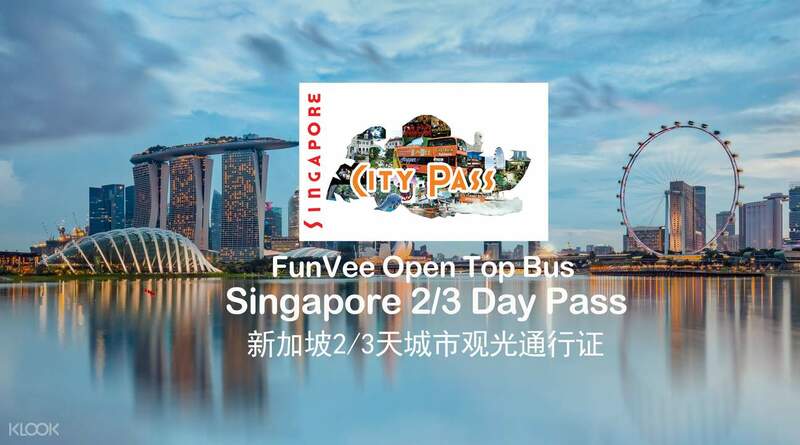 We availed the 2 day Hopper pass, funvee night tour (highly recommended), Sea aquarium and Sands sky park for the 2 voucher attractions, and Singapore river cruise. Doing the river cruise and night tour at the same night is highly recommended. This deal (3day pass) is really a great deal worth 5 stars!!! Thanks Klook! Purchasing this pass is a must. Very convenient and easy to roam around the city (especially the tourist spots). 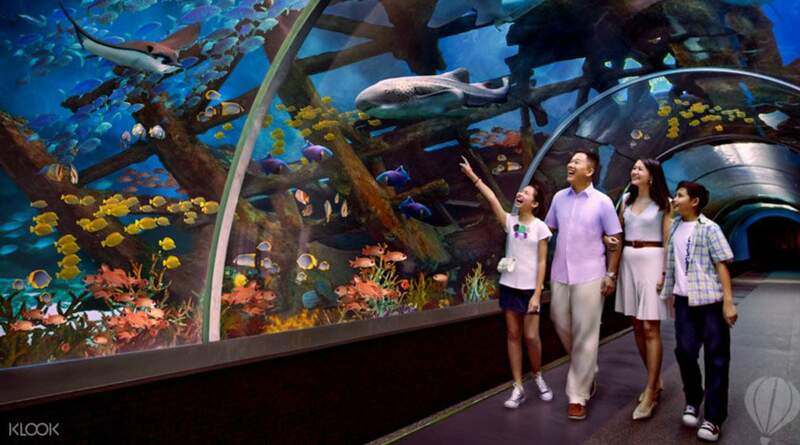 We availed the 2 day Hopper pass, funvee night tour (highly recommended), Sea aquarium and Sands sky park for the 2 voucher attractions, and Singapore river cruise. Doing the river cruise and night tour at the same night is highly recommended. This deal (3day pass) is really a great deal worth 5 stars!!! Thanks Klook! Worth my money. We used the funvee rides as our way to travel around the city, even to go to Sentoso Island. I will buy this again when I return to Singapore. Worth my money. We used the funvee rides as our way to travel around the city, even to go to Sentoso Island. I will buy this again when I return to Singapore. Great experience with the singapore city pass. Easy and convenient way to claim the voucher. The cruise and night tour was fun and exciting. Thank you klook! Great experience with the singapore city pass. Easy and convenient way to claim the voucher. The cruise and night tour was fun and exciting. Thank you klook! We have wonderful experience. Very convenient and excellent staffs. Thanks Klook and City Tours for great service. We have wonderful experience. Very convenient and excellent staffs. Thanks Klook and City Tours for great service. Q: Is the ticket open dated or fixed dated? A: The e-vouchers that you will use to redeem the Singapore City Pass is valid for 1 month, while the pass itself is valid for 48 or 72 hours from redemption, depending on your chosen package.